South Korean automotive giant Kia Motors has unveiled a mid-generational refresh of its Sportage crossover utility vehicle. Let us have a brief overview of the changes. On the outside, the car looks more or less identical to the pre-facelift version. There are a few more chrome highlights, new wheels, and slightly reshaped radiator grille and headlights. The interior is another story altogether. There is a new steering wheel and an infotainment system with an 8” touchscreen display and smartphone support. More interestingly, the car now ships with the Smart Cruise Control feature that can shut down the engine whenever the car has to stop and rev it up again when you need to go. Also available are lane control and drowsiness alert. 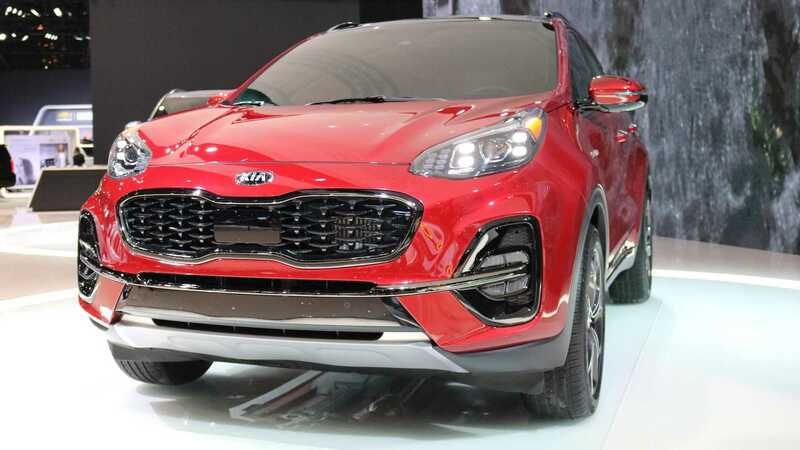 The new Kia Sportage comes with a choice between a 2.4-liter gasoline engine rated at 184 hp (137 kW) and a 2.0-liter turbo unit capable of 240 hp (180 kW). The transmission is six-speed manual, and while the car comes front-driven in base, you may order it with the optional 4WD. Sales of the facelifted series will begin in spring.